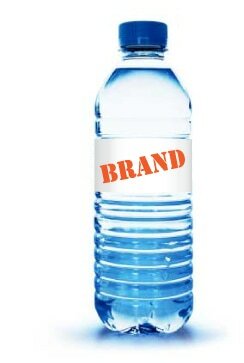 It’s clear that branding is one of the most important steps you, as a business, will pursue. You don’t have to be large company or organization to need it. With so much discussion, so many web sites, periodicals, and reference materials available, it’s obviously a hot topic. So, exactly what is branding? In a few words, it’s your seal of excellence. It’s your firm’s signature of approval that customers will perceive as a reassurance of consistent quality. It’s your promise to a customer that your business or organization is a unique entity providing the service or product they seek. Being unique, what makes you memorable and stand apart from the rest? Are you the new kid on the block, fresh and creative, the top of the line product or provider in your industry, or maybe the one that offers the best value for the money? Whatever the case, because focus is so important, your business needs to concentrate particularly on these qualities coming across consistently to your customer. One of the most visible aspects of your branding is your logo. The rest of your promotional materials, including your stationery, web site, and perhaps your packaging (all of which should feature your logo), are the standard bearers for your brand. What is/are your unique selling proposition(s) (i.e. what makes you special)? What is the existing perception your customers already have of your business? How do you want your organization to be perceived? What is your firm’s mission? You really need to know, through research, precisely what your customers’ needs are and how they normally proceed to satisfy those needs. With so much information available online, and with so many business-related advisory resources in your city or community, you’ve got a lot of potential help at your disposal. Have a professional work with you to design a fabulous logo. Put it on everything! Make sure that logo appears on all your organization’s promotional and communication materials. Consolidate all aspects of your brand message, and make sure all your employees communicate it correctly. This includes your email signature, how you answer the phone, how you dress when you meet with your clients, and everything else. Come up with a tagline: a memorable message to accompany your local, and make it short and sweet! Develop a “voice.” Your company or organization is an entity unto itself, and, as such, has a personality. Whether it’s formal, informal, friendly, or funny, make sure it’s reflected accordingly. Be consistent. This is one of the most important aspects of branding. You must be prepared to commit to consistency; otherwise, the entire exercise becomes a waste of time (and money).